Book your Party or Event in our newly refurbished Dining Room or in our expanded Music Room. 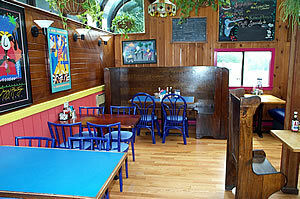 We can accommodate parties of up to 50 people. Hot and cold buffets start at $10/person and there is NO ROOM CHARGE! Reserve early for a date that works for you!